Welcome to our Presbytery,the former rectory of St.Martin. 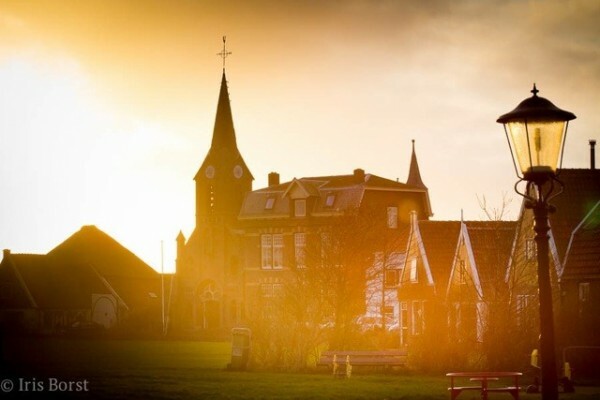 Built in 1904 and located in the fishing village of Oudeschild. Pastorie Marie, our salvation, a home with a soul. As mentioned, in Oudeschild, a charming village, with nice people, beautiful places, old houses and a beautiful harbor. Located on the Wadden Sea, and around the corner there are different areas of protected nature, such as Lageland and Hoge Berg. Texel, be welcome, leave your worries "at home" and feel the energy flowing again. What awaits you in Pastorie Marie? A lovely house, a warm welcome, a nice bed, and a fantastic breakfast. Actually too much to mention. With us you are welcome all year round, even in wintertime. Once again, welcome to Pastorie Marie! The Texelroom is located on the second floor of Pastorie Marie. It's location is unique due to the view of both the church and the wide landscape. But most of all thanks to the beautiful view over the Wadden Sea. 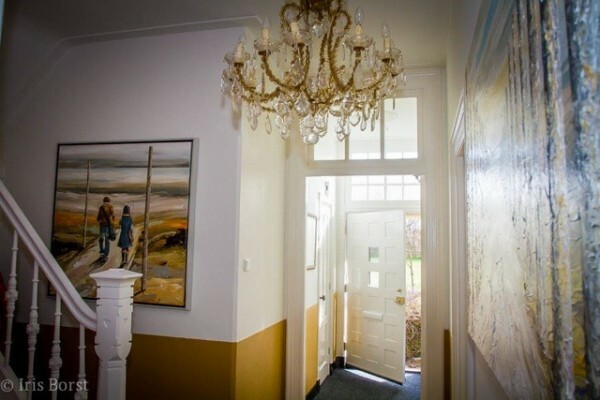 You will enjoy a charming interior and a Texel style bathroom. The Waddenroom is also located on the second floor. Her name refers to the beautiful view of the Wadden Sea. Both bathrooms on the second floor are equiped with a luxury rainshower. The Marie Suite is situated on the first floor of Pastorie Marie. The spacious room is stylishly decorated and has a great view. The bathroom had both a luxury rainshower as well as a bubblebath. All rooms contain a flatscreen TV, a coffee corner and a small fridge. Furthermore, free WiFi is provided for in the entire Pastorie. 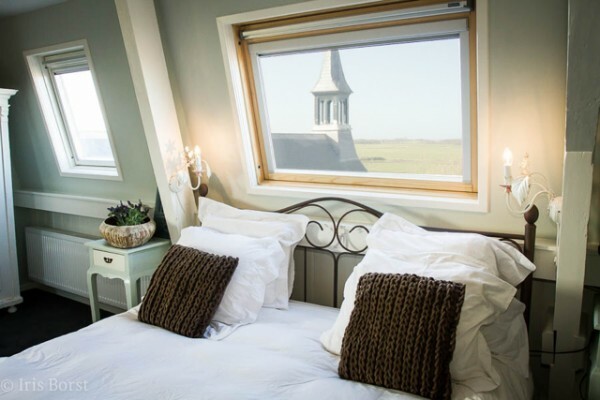 The prices of the Waddenroom and the Texelroom are 115,00 euro per night with a minimum of 2 nights. The Marie Suite has a rate of 125,00 euro per night with a minimum of 2 nights. The above prices are inclusive of a delicious breakfast and tourist taxes. No possibility to pay with debit or creditcard. A delicious breakfast is included in the price. It will be served in the gardenroom between 8.30 and 10.00. There is a variety of cosy restaurants in the neighbourhood of Pastorie Marie, we are very willing to advise you! Free parking space in the very near distance of the Pastorie. Unfortunately, the Pastorie is not accessible for disabled persons. Free WiFi in the entire Pastorie. Did you stay in Pastorie Marie? Let us know what you thought about it and help others to make the right choice! * I confirm having stayed in Pastorie Marie. 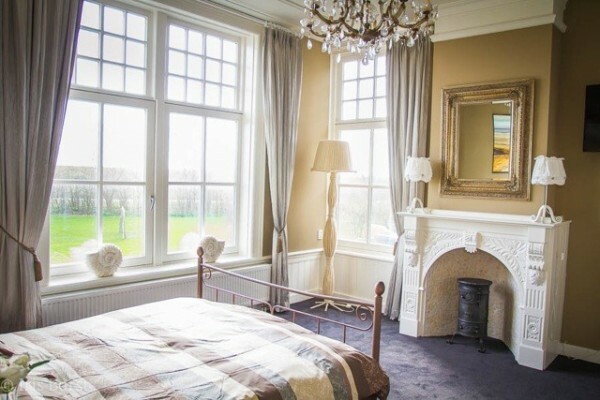 Find other bed & breakfasts in Oudeschild, all bed & breakfasts in Texel or all bed & breakfasts in North Holland.